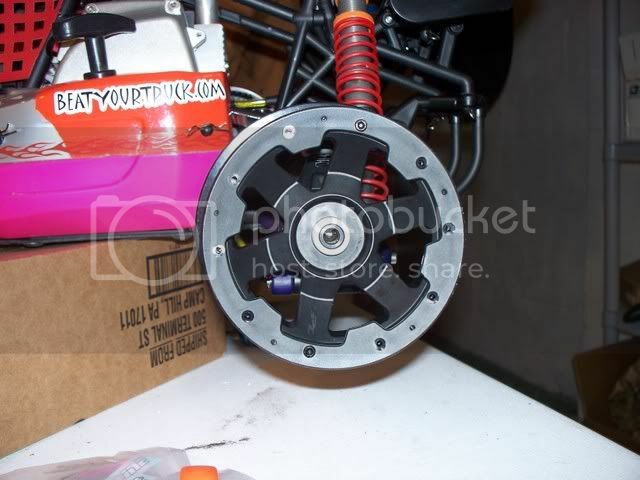 my proline 5t/5b wheels came today and wow did they do their homework on these...the inner beadlocs are thicker then he stock HPI ones, and they also used the ring around the drive hex like HPI did and tons of webbing on the inside for reinforcement.. here they are. 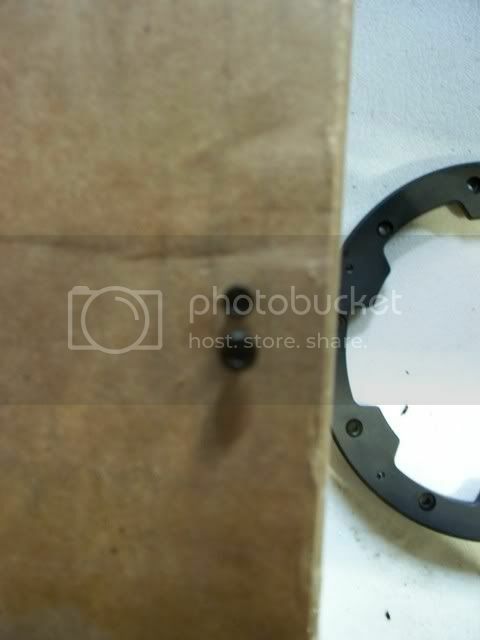 the offset between the HPI wheels and the proline wheels are only 2mm diference. 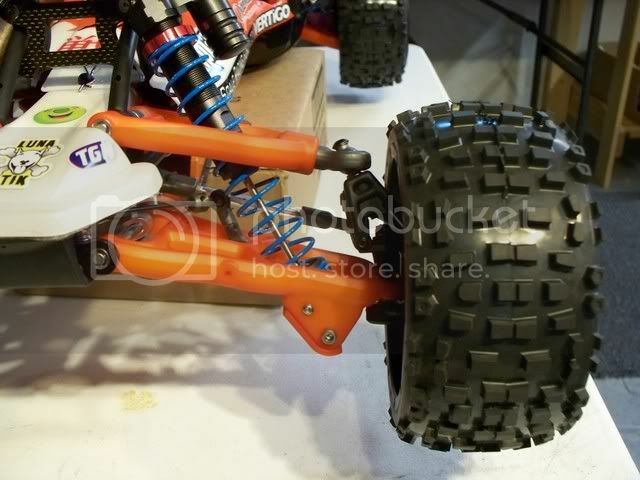 Thanks for letting us know....Now I need pro line 2706-03 for the stock baja5b tires and i also need pro line 2707-3 for the stock baja rear tires, or badland tires etc. 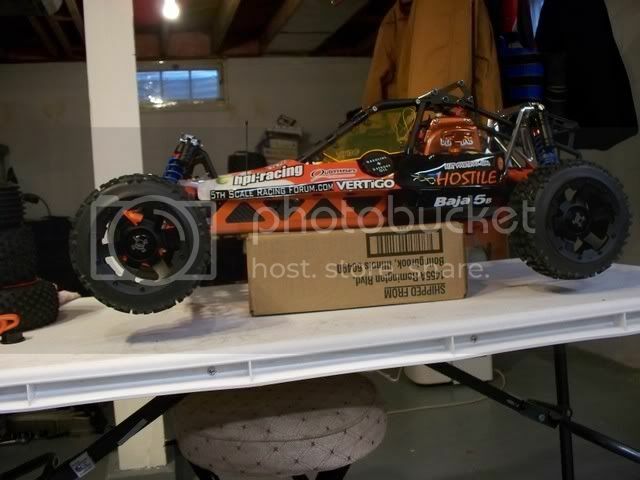 Matt, do you have front extenders on your baja? That would help to make it fit. 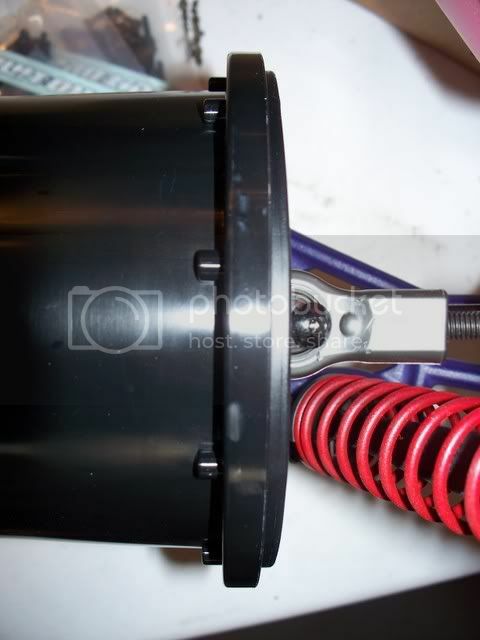 this is what happens if you do not use an adapter it hits the front steering arm, we've know this before with the ORIGINAL b5 rims that you cannot put them on the front, so I do not know what proline was thinking? 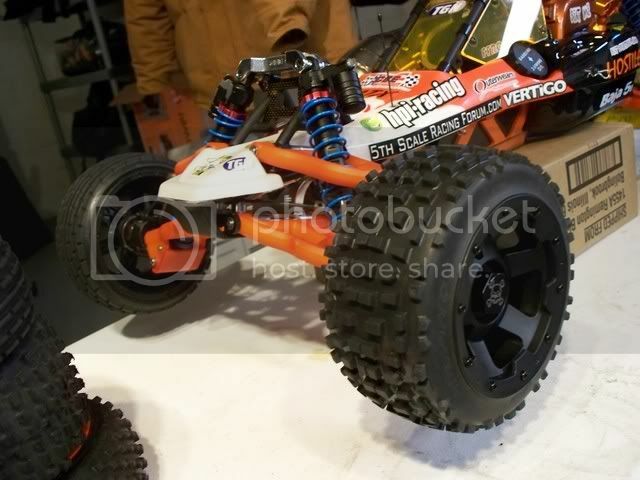 the proline rims are 75.45mm wide and the HPI rims are 75.02mm wide.. I showed the offest difference above..